We recommend you add a “Test Customer” using your personal email address (i.e. gmail, verizon, etc.). This will allow you to experience the system as your customers will via email and the Customer Hub. If you haven’t added a customer yet – read this page first. To add a Test Customer create a Company with the name of “Internal”, or something similar. Be sure to check “Active” and “Portal Access” for this customer. For the contact, be sure to use a different email address than what you are using as your “User” from within TeamSupport. Be sure to check “Active”, “Portal User”, and “Email contact a password to the hub”. 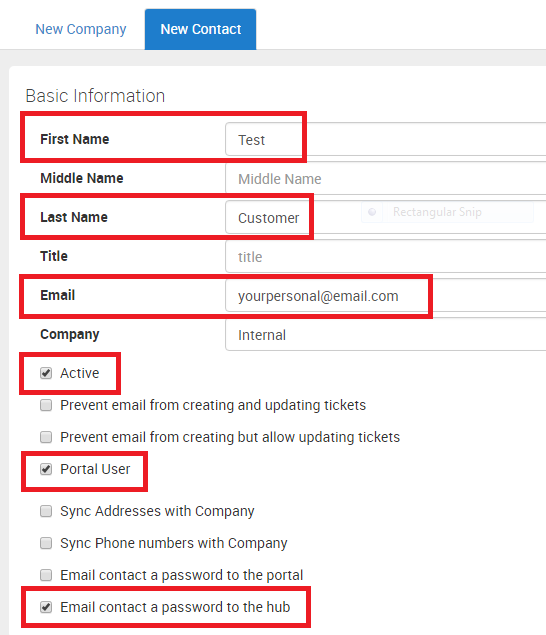 To create a ticket using your Test Customer, send an email from your Test Customer email address into your “System Email Address” in TeamSupport. The “System Email Address” can be found by going to Admin->Email->System Email Address. See screenshot below. 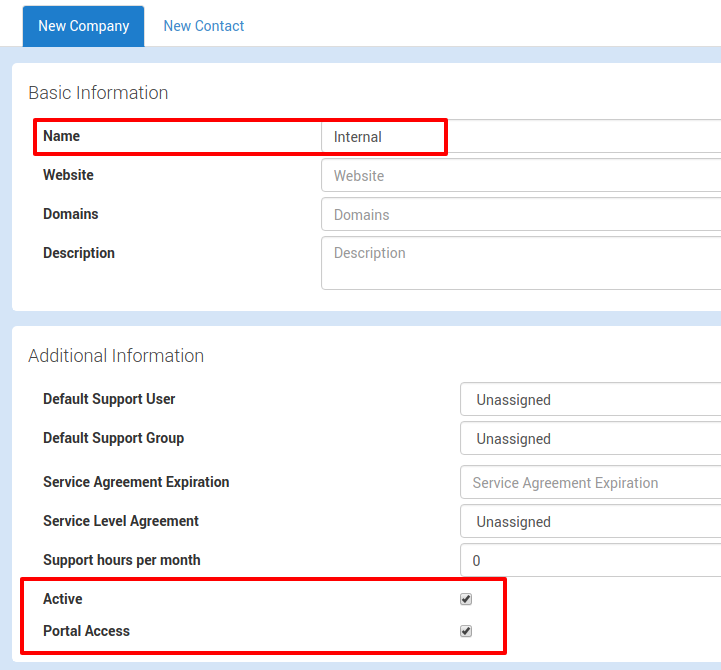 To access your Customer Hub using your Test Customer, use the “Landing Page URL” which can be found by going to Admin->My Portal->Customer Hub Settings->Landing Page. See screenshot below. Click here to start Basic Customization.